What a delicious day in-studio! Joining us are Central Farm Market’s CEO Mitch Berliner; Boundary Stone’s GM Colleen Gillespie and beer maven Sarah Jane Curran talking about the 6th Annual Battle of the Barrel-Aged Beer; Chef/Owner Massimo Fabbri, previously of Tosca and Posto, with tastes and talk of his new, Tuscan cuisine concept in the heart of Shaw; San Lorenzo Ristorante + Bar and the Davis Group’s Linda Davis, with news (and sips) of the upcoming Diner en Blanc, that massive, “everyone wears white” upscale dinner event no one ever wants to miss. Joining Linda with sips of their great potables to be served at the event are Champagne Jacquart’s representative, Van Potts; Pedroncelli Wine representative Brooke Mihoces and Lindsay Dierginer from DOPS, Inc. regional distributors of fine wines, spirits and brews. Nycci Nellis is everyone's "go to" food journalist for insights and in depth info about everything happening across the food/wine/spirits/brews/restaurant scenes in the Mid-Atlantic and across the U.S. Her husband, David, is a beer and burgers guy. On radio since 2009, they host celebrity guest interviews with famous and up-and-coming chefs, winemakers, distillers, oystermen, farmers, marine biologists and more. Get the foodie info you need to know and won't find anywhere else; enjoy irreverent repartee; pick up great recipe tips for cooking to cocktails and ... have fun! 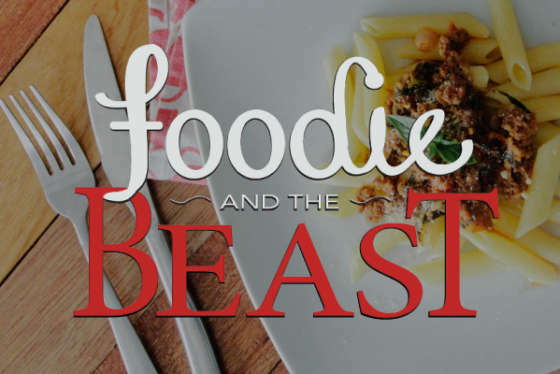 .. with Nycci and David Nellis on the one and only, Foodie and the Beast.